AbsoluteRights.com has released an article on the benefits of a survival bag list. Readers [of the Special Report] will find all the necessary information on protecting their safety and well-being. It grants those who absorb its knowledge the ever-important skill of situational awareness. Anyone can purchase a survival kit from a camping or outdoors store, but what’s included in a personal survival bag list may be different for everybody, according to a new article from the Absolute Rights website. The experienced and knowledgeable resources behind Absolute Rights have released a special report to address this matter entitled “Get Out of Dodge.” In it, readers will find all the necessary information on protecting their safety and well-being. It grants those who absorb its knowledge the ever-important skill of situational awareness, the recent article said. The report helps people create and perfect their survival bags and determine the most crucial items that should be included. The article claimed that the report helps avoid the “deer in the headlights” effect, and allows natural instincts to take over. Those instincts are only developed with practice, thought, and execution, said the article. 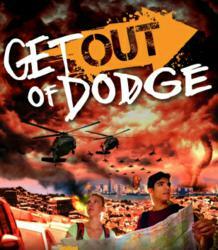 “Get Out of Dodge” encourages all those things, and covers more than just the contents of a survival bag. It addresses a multitude of different situations, with specific instructions and tips for each. According to the article, a store-bought survival kit contains enough for the average person, and can be completely adequate in desperate times. But what isn’t included in that kit could mean the difference between survival and death. For instance, medication for people with health conditions is a necessity. The report suggests stocking up on required medications as well as making copies of health insurance documents and medical histories. Other secondary items that can sometimes be overlooked when making a survival bag list are identification documents. When people think of packing and preparation, it’s their natural tendency to choose survival items and ignore documents. However, if evacuation becomes necessary, then the cards, forms, and papers that prove a person’s identity become just as important as food and water, stated the article. Knowing what is worth putting in a survival bag and what will simply take up space is a product of practice and preparation. When the time comes, the article said it is beneficial to have the peace of mind a survival bag can award. Absolute Rights produces reports like this one and other informational materials to provide actionable advice and impactful insight into geopolitical and domestic issues. Not only does the “Get Out of Dodge” report mention the best method for preparing a survival bag, it also provides pertinent information that everyone needs to know about emergency scenarios. Get the most out of preparation tactics and create the preeminent survival bag list with Absolute Rights’ report by downloading a copy today.